Anti-black discrimination is rampant on Uber and Lyft. New Business Model. Same Racist Cab Drivers. Black riders in Seattle and Boston get longer wait times and more canceled rides. If you have a distinctively black-sounding name, you are more than twice as likely to have your Uber trip canceled than if you had a white-sounding name, a new study reports. For black men, the same study found, the cancellation rate is three times higher than for white men. Those are some of the results of an experiment in which researchers sent passengers of different races to order nearly 1,500 rides in Boston and Seattle. Their conclusion: Anti-black discrimination is rampant on ride-hailing services like Uber and Lyft. Because the two companies operate slightly different protocols for drivers, the discrimination can take slightly different forms. Uber drivers don’t see information about riders before accepting a ride, but once they do get that information, they can cancel a booking before they’ve picked up the rider; Lyft drivers see names and photos from the start. Black Uber customers, then, are more likely to see cancellations. Black Lyft riders see longer acceptance times for rides. It’s the latest indication that what the U.S. Commerce Department calls “peer-to-peer matching services” have failed to account for the fact that some of those peers are, uh, racist. Black guests have long complained of discriminatory treatment on Airbnb, where a lawsuit and a public uproar prompted the company to issue a strict anti-discrimination statute this fall, which it says will be enforced by special bias investigators. With ride-hailing apps, it appears the experience of discrimination is somewhat subtler: Rides just take longer, and are canceled more often, if you’re black. One big difference: While Airbnb has replaced the discrimination-proof world of anonymous hotel booking, Uber and Lyft operate in a field long associated with racist business practices. 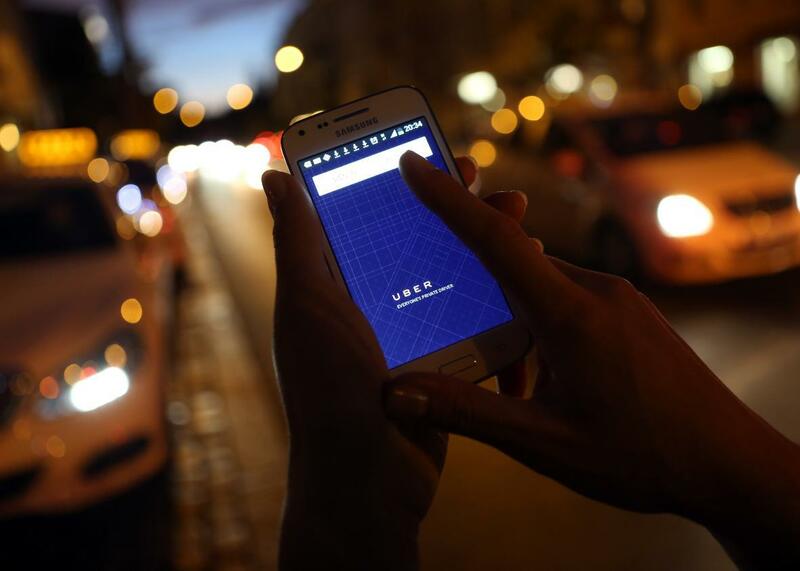 Fighting regulation in New York last year, Uber cast itself as a force for racial equity. The company’s ads reach out to minorities. The company’s biggest influence on cab service in New York has been in the city’s outer boroughs, which are more diverse than Manhattan, although the neighborhoods where Uber was busiest (according to data through September 2014) were mostly well-off, white areas like Riverdale, Little Neck, Bay Ridge, and Maspeth. The first taxi stopped nearly 60% of the time for white RAs, but less than 20% of the time for African American RAs. The white RAs never had more than four taxis pass them before one stopped, but the African American RAs watched six or seven taxis pass them by in 20% of cases. The paper also provides evidence of how app design can change outcomes. Racist Lyft drivers can reject black riders at once; racist Uber drivers cancel after accepting. Ironically, the authors note, Lyft’s discrimination-friendly platform may produce better outcomes for black riders, because Uber’s accept-then-cancel procedure can prolong wait times. Still, neither is a substitute for platforms stripped of the information that indulges bias. Airbnb resisted suggestions it stop displaying guest photos. Perhaps getting a look at someone is an important precursor to letting them stay in your home, whatever your prejudices. Surely the same can’t be said about a 15-minute cab ride. The concern about stripping away identifying information, the authors write, is that it might create unpleasant confrontations between bigoted drivers and riders of color. That strikes me as a pretty cynical view. The more likely outcome, I think, is that sharing a car for 20 minutes would produce that common thread that brings all Americans together: a disdainful dialogue about local sports, politics, and traffic.